All licenses include 1 year of upgrades and support. PhraseExpander provides autocompletion (and smartphrases) in any field of your EMR, so you can save time typing. It also gives you access to fill-in-the-blanks templates that you can pull up by typing an abbreviation. I did research to find the best text expansion program available for Windows; PEx does even more. Pros: * Saves me about ten hours per month in typing, looking up numbers or phrases, flipping clipboard snippets, and switching apps/windows. * Data: Keeps detailed statistics. * Interface to the shortcuts is very detailed and flexible, allowing user to group and sort in many different ways. * I like the ability to toggle Auto Expansion on or off with a lightning bolt icon, for each and every snippet. * Provides automatic inline search, a great help if I haven' t memorized an assigned keystroke yet. * Can easily set up a few expansions to start... later when you're more familiar with it, go back and organize the interface or flesh them out. * Customer service is very responsive; the developer has personally helped me a couple times. For Mac users: PhraseExpander is like a strange marriage between TextExpander, Alfred and Keyboard Maestro. It has greatly improved my workday relationship with Windows. Cons: *Could be used as a Launcher, except it doesn't index commands or locations automatically; must be set individually. *There was some learning curve the first two weeks; I definitely had to look some things up online or in the manual. *Would like to be able to sort the statistics data, I could mine it for more ideas. Overall: -Saves me time: about ten hours per month, demonstrably. -Keeps my right wrist healthy: the more I can use PhraseExpander for input or switch to different windows or applications, the less I use the mouse. -Cuts down on "menial" activity like typing, tracking, file renaming. -Makes work more interesting because I think of ways to use PhraseExpander to speed up my projects. Pros: This software has been easy to use since day one. Very intuitive. Also, it has so much more functionality than simply a "phrase expander" that I've become addicted to it. My favorite extra part is starting applications with keyboard shortcuts. It's just great software. But I recently learned about the best part of PhraseExpander. I had an issue with a software update, so I emailed the developer and, within a minute or so, I had a response right back. He was so on top of the issue that I couldn't keep up! I've never experienced that kind of tech support anywhere. BTW, he figured out the issue and sent me an updated version so quick that I never felt for a minute that I was running without the software. I hate writing software reviews because I usually find them fake and insincere, so I guess it says something that I'm actually writing about PhraseExpander. You can trust that not only does the software work well, but if you have a problem, you won't be stranded trying to figure out how to fix it from some blog or website. Cons: Love it all, not a single issue with this software. Overall: Highly, highly recommended. Great software and, even more important, great product support! easy to make templates and convert list into phrase. Thanks so much for your feedback, Adel. I'm happy to hear that PhraseExpander is saving you a lot of time. Regarding the suggestions window popup, you have the option to set it to open below or above, so it will not interfere with your other applications. And we are working on the autolearning feature as well. Regarding templates, you can actually design templates with radio lists, grids and checked buttons (this is available in the Professional edition). Once you build up your library, it can be hard to find the phrase that you want. That's why we have Quick Find. Press ALT+space to pull that up. From there you can search for the contents of any phrase you have in your library. Pros: I've tested all of the text replacement programs I could find for PC. A couple of them I used very extensively, and got very proficient in programming macros with them, but I reached the limit of what they could do, and needed a better option. PhraseExpander gives me features that no other program has. 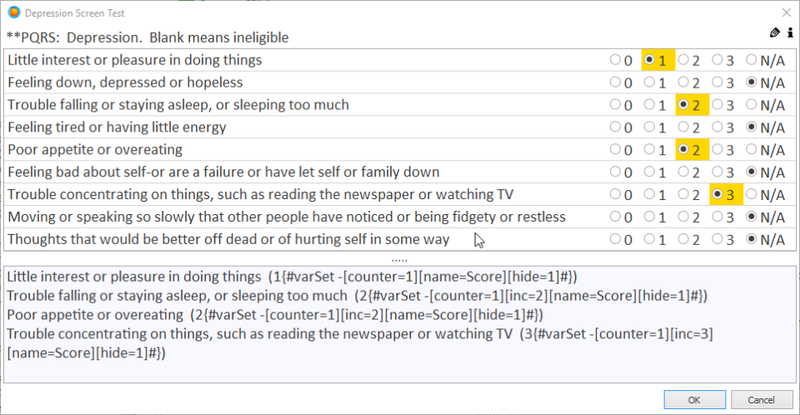 For example, no other program has 3-state buttons, or answers "yes", "no" and "n/a", letting me create custom wording for each of the situations. I can create long medical notes that look just like they would if I had typed or dictated them with few clicks. This way I can see patients without the distraction of typing excessively, or having to cut their time short so I can go dictate a note before seeing my next patient. Another feature that is extremely useful is being able to edit the "canned" responses I prepared from the form, not having to go into the program again. Another thing I like is the preview boxes, that concatenate my answers in real time, and I can click in the text and edit it at any time, without having to execute the whole macro. This is a huge feature that no other program I tested had. My favorite is the grid forms, that let me write notes for very specific scenarios that were a nightmare to template for with other software, but with the grid form, it's easy to program the macro and to use it. Remembering macros was hard with other programs and since I have over 1000 macros to choose from that's nearly impossible. PE has auto-complete. EASY! Cons: I'm told version 5 will help with building gender-specific forms, and more "logic" features to program macros that are more advanced. I'll welcome those changes. PhraseExpander: Speed, consistency, reliability, ease-of-use; it has it ALL! Pros: Ease of use. Having to train hundreds of providers, nurses, and support staff on yet another product is never a treat... until PhraseExpander. I was able to teach my organization quickly and effiently. Power. Think outside the box. I set up phrases for ICD-10 codes, provider names, and commonly prescribed medications. Overall: Hundreds of uses! Working in a healthcare facility we not only use PhraseExpander for the obvious stuff (templates for visit notes, standardized forms, etc. ), but we also use it for searching through 70k+ ICD-10 codes to quickly help staff order labs and document in their notes tremendously faster. Imagine quickly searching through thousands of codes with lightning speed and with a keystroke entering that code into an order field. PhraseExpander has proven to be a huge asset to my organziation and we look forward to continuing to use it for years to come. Recommendations to other buyers: Think outside the box. Not only does this softare finish your phrases, but can you used to search lists quite easily by pressing Alt + spacebar. Overall: This program makes the difference between a professional healthcare note and one that is lacking. It takes the agony out of writing excellent notes and allows us doctors to focus on the patient as much as possible. Truly one of a kind, as I've tried other "look alike" programs and this one is in a different league all together. The program feels like it was made just for us and anticipates what we need as far as features and ease of use. Technical support is unbelievably good and responsive. You feel like your business is truly important to the company, and I believe this product will just keep getting better! Recommendations to other buyers: Reach out to tech support if you want to get into the advanced features (the more deeply you delve into the program the better, it will amaze). I've never waited more than a couple hours for a personalized and effective response. Pros: Phrase Expander has removed barriers to documentation efficiencies throughout our organization. We are able to build glossaries and share amongst team members. This has enabled us to create standardized processes which are easy to maintain and update. It multi-functionality works with a variety of programs removing duplicative efforts when you experience a change in software. I appreciate the collaboration and support we have received from Representative and his team for the past 3 years. Cons: I do not see any cons with this software. Thank you for your review, Sheri. It had been a real pleasure serving you for the past years and we are exciting for the new possibilities you'll gain with the new PhraseExpander 5 that includes conditional logic and dynamic templates. I use this program constantly. I could not function without it. Pros: Reliable. FAST. Able to customize phrases on the fly. Easy to view a list and organize my HUNDREDS of macro phrases. Back-up on-line via drop box and keep ALL my 13 computers + 2 laptops up-to-date. Cons: I quickly get rusty and creating new more complicated phrases/macros. I have to review the on-line tutorials before making large complex macros. More menu-driven would be easier. Updates are great.. but seems to always have some new update to install. Spend more time with patients / less looking at the "box." Every physician needs this! Much better then other programs I have used. Pros: Flexibility. Having multiple options for forms, choice options, custom phrases, on-the-spot corrections and updates... This list of the options that I like "the most" is innumerable. This application is essential to capturing correct and complete data every time I sit down to record provider documentation. The icing on the cake is that the PhraseExpander developers truly want and listen to their client's feedback and desires. New functionality is coming based upon this constructive feedback and the commitment to creating an outstanding application! Cons: Although the base functionality is simple to learn, there are a few nuances that have taken a few weeks to adapt and adopt into my workflows. Overall: Efficient Time Management. 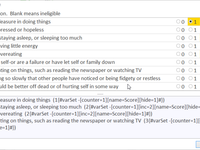 I have the ability to use and customize phrases, paragraphs, and forms in a fraction of the time it would take to type out responses every single time I am recording my documentation. My documentation is more comprehensive since I am using my custom prompts so I don't leave out key points, but I also use the application for the mundane entries, like my business addresses, passwords, and ID numbers. Total game changer! Saves time and makes text templates easy. Pros: Easy to use and saves tons of time. Cons: Sorta costly with some initial learning curve hurdles. The price is worth it in time saved though and version 5.0 will make the note templates very easy to create making this a easier to use very good template software rivaling that of some of the big EMRs (without the need for IT and multiple committees). Overall: As a physician, I type the same thing over and over again in multiple notes. It was very easy to program and create my own note templates using PhraseExpander and save a ton of time letting me use my own personalized templates. It lets me bypass IT and multiple committees and gives me the ability to create all my own personalized templates with ease, saving me lots of time typing. Recommendations to other buyers: Give it a try, you won't be disappointed. Andrea is a great developer. I've emailed and had skype calls with him and he is quick to fix any issue. Pros: Ease of use. Customer support! Does the basics elegantly. Advanced features not found in other programs. Cons: So far, not really any. The highly advanced macro functions just require a bit more time with the user manual or a little help from customer support (which is superb) and then you're good to go and will be amazed at how much time you'll save in your workflow! Overall: I have previously used at least 5 other text expanders and used one that is similar to PhraseExpander for the last 5 years in my medical practice. Recently, after changes in my practice model, I realized I could improve by workflow even more by creating new phrases/templates. The product I was using could do 99% of what I wanted but not that last 1%. Then I trialled PhraseExpander. I needed the ability to choose variables with their associated monetary charges and have the total of all the selected items charges listed. It seemed like PhraseExpander could do this but my first attempts to create a template for it weren't quite right. I didn't yet quite understand the advanced macro codes/language. I reached out to customer support responded VERY quickly and sent me a perfect template with explanations. I've been amazed by the customer support that beats all others. And now that I've had more time to read the user manual, I'm able to understand the advanced macro functions better on my own. I'm glad to hear that Carla. It has been a real pleasure helping you out. And we are publishing new templates and tutorials very soon to make getting started easier. Very good program that does what it is expected to do. Pros: The ability to create boiler plate text. Auto correct spelling mistakes. They are continuing to make improvements. Cons: How to remember all the names of the boiler plate text.... not sure how this can be done but would be nice to have some kind of drop down or recall system. Thanks so much for your review, Daniel. I'm so happy to hear that PhraseExpander is working well for you. I'm aware that, when you have set many phrases, remembering them can be hard. That's why PhraseExpander comes with Quick Find, a simple popup - that you can invoke from any app by pressing ALT+SPACE - that lets you search for the contents of any phrase. Overall: The software really helps to speed up work. We use the software to assemble emails, forms and Word documents and this process has really improved when we started using PhraseExpander. Some workflows (that needed to be done en couple of times every day) used to take about 5-10 minutes where now it is done in 1-2 minutes with the help of PhraseExpander. We also use it extensively for correcting spelling in all our software applications and online this feature also is a real time saver. Instead of maintaining spelling corrections in Word, Google, etc. we now have it centralised. Recommendations to other buyers: Would be nice to have grammar checking, automatic learning and sometimes les steps in executing (for instance spelling correction are several steps that could be more simplified). But these are no deal breakers for us. The software itself is very helpful, easy to use. The customer support was very helpful. Pros: The commands and transcripts are very easy to set on your account. It made my typing faster and easier. The customer support was extremely helpful with us while using the trial version and they help us transitioned to the paid version. Cons: When I upgraded to the paid version or the free trial expired all of my commands were removed. Due to this, I had to type everything again. Overall: On a regular basis as a customer support agent, I had to sent almost 40 emails per day, with Phrase Expander I was able to save time and send more than 40 emails daily. Andrea, the CEO was extremely flexible with the free trial period. Thanks for your feedback and nice words, Eduardo. I'm sorry you had problems when moving to the licensed version and that you had to reeenter your phrases. Not sure of what happened but DATA IS PRESERVED when registering the product. PhraseExpander also automatically backs up your data so you are always be able to restore your phrases. If you had got in touch with me, I could have helped you out and restoring the information. Started using on a recommendation from Elation EHR software. Easy to implement and use. Pros: It saves me hundreds of keystrokes every day. It is easy to set up and distribute to my other users using Dropbox to share the glossaries. Basic phrases are simple to set up. Forms and templates are a breeze to create. Program sits in backround and does not seem to take up much overhead. It is fast to fill in whatever phrase you are using. Cons: My only gripe is there is no version for Apple, otherwise I have no problems with this software!!!!! Overall: Saves hours weekly and hundreds of keystrokes. Pros: ease of use, depth of options and ability to modify templates. Overall: This program has changed every aspect of my daily clinical workflow for the better. The customer support is unparalleled and the frequency and value of the updates are the envy of any other program. I cannot recommend this program enough. The depth of options continue to impress me and I continually find new ways to tweak my charting each day. Recommendations to other buyers: Your daily flow will be improved in every way by this program. THIS IS EXTREMELY USER FRIENDLY SOFTWARE. It has made a great deal of difference in my daily work. Pros: " I am a physician and I like to document my patient's notes while I see them. This software is very intelligently designed with a ton of functionality. I have customized it to my practice needs. It has reduced my documentation time, cut down typing errors and made my notes look very professional. Cons: It is a hard question. 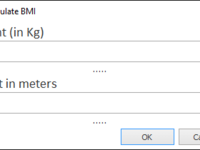 Perhaps more functionality in text formatting and ability to insert tables with formulas or calculators can enhance the features. Good implementation of macro and forms. And last but not least: very fast and personal support from the developer when needed. Seems te depend heavily on the developer, that may prove a vulnerability in the future. Overall: This software saves me a lot of time, especially since I'm not the fastest typist on the planet. I imported a large list of (long) medication names and all I have to type now is three letters. I also created some standard letters with the macro/form function. Fill in a few words in the form and presto! the letter is complete. Can't practice medicine without it. Pros: I use an AWESOME EHR (Elation Health), but it does not support full visit templates, so PhraseExpander is a lifesaver. It allows me to set up shortcuts that would otherwise force me to type repetitive phrases, paragraphs, procedure notes, advice given, and forms over and over and over... and over again. PhraseExpander saves me 30-120 minutes a day of time, but incalculable frustration. I would call that priceless. Cons: Maybe the price, but considering how much time it saves, totally worth it. I do wish it handled graphics, but my EHR doesn't support imported graphics, so maybe a moot point. Pros: Reduces significant time while charting. Cons: There are a few extra steps to input into a flash text field. Overall: Phrase expander has been great! We can now chart more quickly and efficiently. 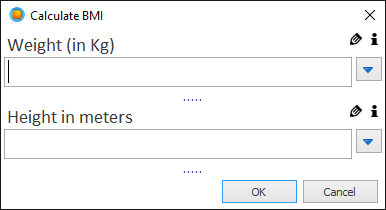 Not only have the macros helped to fill in quick templates, but we can now use it to query data from different formulas and questionnaires. When charting before we had to open a excel file, fill in all the data, transfer the data back into the chart then upload the whole excel file into the chart. With 6 doctors, trying to make sure we had the correct file was even more time consuming, and we had to worry about patient data stored on our hard drives. Now everything is calculated and entered directly into the chart for easy access and easier compliance. This small piece of software has changed my life a busy surgeon. I allows me to VERY. Pros: Amazing templates that are very easy to set up. No coding experience required. One of the customer rep is always available and helpful online. Cons: I will we could use the software while creating templates. I were creating a template, PhraseExpander should still be working, if possible. Overall: Everyday while using my computer both at home and at work in my busy medical practice. Thanks for your nice feedback, Manish. We'll soon add the ability to use text expansion inside templates as well. It is customizable to my practice. Overall: This software is amazing, it completes words and sentences for me while I type into the EHR. I have made some templates which I can customize for each patient. The software is easy to learn and the cost is reasonable. Andrea has been very helpful whenever I have reached out to him. I would recommend this as a time saver and helps with the quality of the documentation. I find PhraseExpander to be easy to use and it makes my life so much easier. Pros: I like that I can sync PhraseExpander between the computers that I use. If I need to travel, my PhraseExpander is there on my laptop with all my phrases and shortcuts. It is so easy to add new items into PhraseExpander. Cons: Off hand, I cannot think of anything that I do not like about PhraseExpander. I am just happy with the product. Overall: It saves me so much time and effort in doing my work. Pros: Phrase expander is everything a medical professional need as a companion for their EMR / EHR and beyond. Many EMRs lack the ability to provide templates to do rapid charting! Well this software would take care of that EMR 's deficiency. The capability of this software removes the anxiety of memorizing numerous abbreviations, since as you type choices appear before you. 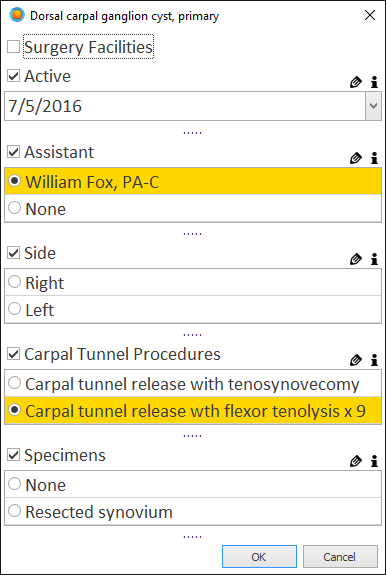 Many medical softwares do not have the "click-n-go" capability but with phrase expander you can design your own and adds variation and speed to your template charting. Some words are long and tedious to type, well with this software entering the first few characters then the phraseexpander types the rest. I love this software, above all updates and costumers support is superb. Highly recommended. Cons: Hope full functionality in Android apps is added. Although it works there too but its hit and miss. Overall: As I said before it worth every penny and dollar to pay for this. Through INBOX cloud storage all your templates is shared with other computers and tablets. Pros: Incredibly powerful scripting language allows robust, flexible templates that generates text that does not look like just a template. Cons: There is a little bit of a learning curve to the scripting language, but once you learn it, it is incredibly powerful and easy to use. Overall: PhraseExpander allows me to finish my notes quickly and accurately so that I can get home on time. Pros: Allows me to save a lot of keystrokes with the repetitive things I type as I document my patient encounters. I bill based on documented work, but talking and counseling patients doesn't get documented, so if I give the same or very similar advice over and over (diet counseling, exercise counseling, etc. ), PhraseExpander gives me the ability to quickly enter that information. Cons: I wish it had actual check boxes, but that's a limitation also in the web-based cloud EHR I use, so even if PhraseExpander had it, I couldn't use it. This program is a major time saver for my medical practice! Pros: The program is easy to learn. Once it is set up, you will save tons of time! The new medical license subscription can be shared on the multiple computers with the whole medical team. Cons: You have to spend some time initially to set up how you like it since it does not have much customized macros and templates for generalized medical providers. Comments: I have used PhraseExpander for just over a year and love how quickly I can access my 3MinuteClinic medical templates in ANY EMR! 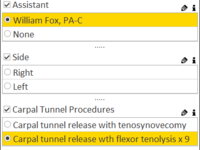 With a simple dot-phrase, I can access templates for HPIs, care plans, patient summaries, and web links; and I 've only begun to scratch the surface of Phrase Expander's capabilities. Thanks to the Nagarsoft team, I can rapidly complete clinic notes so I can spend more time with my patients. My only complaint is that it's not currently available on the Mac platform. Overall, this app is a MUST HAVE if you want to significantly increase your productivity. I can't imagine running my clinic without it. Pros: PE saves time and cuts down on errors...employees love that a they can populate notes via PE. I like that the developers are constantly working on making it better and efficient. A time saver & not having to repeat the same comment. Pros: Ease of use. Logical construction, glossaries & helpful icons to what is needed. Phrases & Autocorrect are very helpful. Templates - excellent! Cons: A little cheaper for non-profits would be very helpful as we are unpaid. This is not really a "con" but there is a learning curve! Overall: Too numerous to mention! Great software with incredible customer support. Pros: This software has saved me countless hours that would have otherwise been spent re-entering the same clinical note format over and over again. However, the customer support is the best feature. Cons: I wish that there was a portable version that could be installed on a thumb drive and used on any PC that the thumb drive was inserted into without requiring installation on that PC. Many hospitals use individual thin client workstations at the bedside and nurses stations and individually installing the software on each PC would be challenging; this functionality would be invaluable. I love Phraseexpander. I don't have to remember all of the medical words. Pros: Easy to add words, and I don't have to remember how to spell them. Support is quick to get back to me, and hopefully, no question is a 'stupid' question. Cons: There's nothing I don't like at the moment. I don't use the software to it's full though. At present, I am only using the glossaries as part of my role as a medical transcriptionist. Overall: Ease of typing long medical words, effortless quick tying of common phrases. which in turn adds speed to my typing. Overall: I've been using the program for several years. I find it easy to use and it saves me a great deal of time. I couldn't create the quality visit notes that I do without it. I recommend it without reservation. Recommendations to other buyers: Can't go wrong with the product. Pros: It is easy to fill out the medical record and save time. I can use the words I used to use. Cons: You need to prepare your own phrases , it would be good if they give us some suggestions. As a busy pediatrician, time is very important. This system his critical in my daily functioning. Pros: Unlimited amount of templates. Able to categorize in folders. Sync with my multiple computers in my office and at home. Cons: Takes some learning to take advantage of all features. (as expected). But has video on line. This helps. As a physician, we are "graded" on quality measures. This system helps to make sure we address all aspects of care to improve our "scores" and also take better care of patients. Ability to sort shortcuts into folders (Glossaries, and sub-glossaries). Overall: Saves me time (I can't type). Makes my documentation/ correspondence more accurate, and intelligent, Especially when I'm tired or just just don't feel like elaborating on a topic. Helps me organize my thoughts. Overall: PhraseExpander has dramatically increased my productivity and at the same time has improved the quality of my medical progress notes. I would dread working without it. Phrase expander is the number one time saver for 'doctors' but may be not for "a doctor"
Pros: Phrase expander is a great software for professional people especially doctors who need to type a lot. This is something that saves really a lot of time. Free medical glossary is available so there is no need to enter alternative text/abbreviation for all the terms and yet the ability to save new abbreviations mean it can adapt to anyone using any phrases. 15 day free trial is available so you know for sure whether it will help you or not. When you buy the one for medical professionals, you can install it on any device which is kinda nice. Finally, the pricing is flexible, as they offer discounts to those who use competitors product or those who work for nonprofit or educational institutions. Cons: The software is only available on windows, too bad we have to write on iPad at times and sometimes on even a chrome device. The free medical glossary is so devoid of the vast medical terminology. For example even some of the most common terms like tuberculosis are not pre-abbreviated. And so, you will have to work really hard to enter new phrases on daily basis. This makes it especially challenging for individual practitioners. There is no monthly pricing option. only yearly upgrade subscription at the moment. Which seem too much for a small software like this. E.g Microsoft office, the holy grail of softwares, costs about 40% less than this comparitevly tiny app. Overall: a useful software that has the potential for saving precious time of doctors if done right. Pros: Very easy to use, intuitive, saves time, automatic backups. I can also use it to remember important information. Cons: I have to really think hard about this. I am still learning how to format things in the best manner. Sometimes the shortcuts do not automatically appear in certain programs (I can see it in IE, but not in chrome). Sometimes the selection box is in the way of what I want to see. Makes customer-service oriented jobs so easy! Pros: Love the efficiency and customizing features on this software. It allows a quick entry to expand into popular answers to FAQs. Answering emails becomes so much quicker and more painless. Cons: The only issue I take with this software is you can't use two phrase expanders one after the other on the same email. If I want to reply to a FAQ, then use a phrase expander for my own signature (as I may use PE on a shared drive for others) it doesn't allow me to. Excellent fo Coders who use languages not supported in major IDEs. Pros: Customization! I use Enterprise Architect for software design of a first-order reasoning system. I am designing/writing in CycL - a LISP variant - on top of Enterprise Cyc. CycL is not supported in ANY of the IDE or SublimeText-type editors. I created my own entries for the conventions of CycL and my own system. Has saved me an IMMENSE amount of time and has drastically decreased my typing-error frustration! Wonderful system! PhraseExpander is a great tool! Pros: Ease of use is one of its main strengths. Time saved in daily activities is very helpful. Strongly recommend it. PhraseExpander is an absolutely essential element of my workflow. Pros: The customer support is among the best I've ever experienced with any product. I emailed for a little more guidance and recieved a detailed email response almost immediately. Cons: Initially programming the macros can be tricky, especially if they are complicated. However, this is common to all text expanders that I've tried and PhraseExpander is the most user friendly option that I've been able to find. Cons: A bit tricky to learn the coding in the beginning and not too many extensive walk-throughs. Overall: the coding language takes a few minutes to learn if you've never done anything like that before, but once you figure it out, its a breeze! Saves so much time - I'd spend another 2 to 4 hours charting each day without it. This software is just amazing! This makes our work flow much easier than before. There's no limits!! Pros: We can add as much information as we want without character limit. We can backup and restore our data base when installing in other computer. Cons: I would love to see other themes, the ability to add files to a recorded phrase. A mobile app for ios. Pros: Speeds up my charting and tedious entries. Easy to use. I like being able to make forms to run through a checklist of items for my notes. Pros: Ease of use, convenience, time saving! Has made my charting so much easier and faster! Can't live without it! Cons: Can't think of anything that I dislike about this product. It has changed my work life immensely!! !